A region too often stereotyped as merely exporters of oil and strife is producing economic wins at an historic pace. So let's cut through the hyperbole and explore the wins being notched in this critical region of the world. 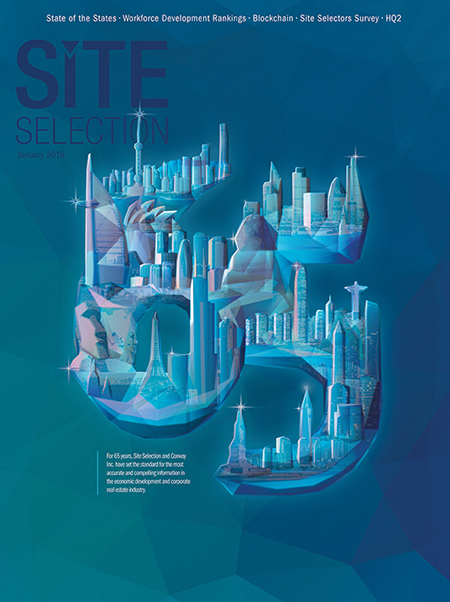 As this magazine's parent company, Conway, Inc., recently highlighted in the World's Most Competitive Cities Report, nine Middle East cities from four countries (the United Arab Emirates, Bahrain, Israel and Saudi Arabia) ranked among the world's most competitive in nine key industry sectors. Dubai and Abu Dhabi reigned supreme, with each placing in an astonishing seven of 12 potential categories, data backed by the World Economic Forum's 2018 Global Competitiveness Report, which ranked the UAE 17th in the world and tops in the region. Qatar, Saudi Arabia, Bahrain and Kuwait round out the top five from the region (see chart). The report cited a series of reforms aimed at boosting economic growth as being largely responsible for the UAE's strong showing, including new initiatives to waive corporate fines in Dubai and Abu Dhabi, and a law which took effect in late 2018 allowing 100-percent foreign ownership of companies in selected sectors. The UAE's winning ways aren't likely to stop, with investment flowing into key growth industries. In the last two years alone, the UAE has increased equity investment in technology firms from $100 million to a whopping $1.7 billion. Perhaps more impressively, the World Economic Forum ranked the UAE No. 1 in the world in Economic Prosperity and Efficiency of Government Spending, with Saudi Arabia close behind at 7th in the ranking of 136 countries. The UAE also took top spots in sectors in areas dealing with ethics, corruption and public trust in politicians. The World Bank concurs. In the 2018 Arab World Competitiveness Report, the UAE again finished first, with Qatar and Saudi Arabia close behind. What's fueling all these wins? The World Bank report cited improvements over the last decade in such areas as infrastructure development and technological advancement across the region. The report also found that in recent years, countries in the Gulf Cooperating Council (GCC) have made a concerted effort to support innovation and provide crucial seed funding to startups. For example, Saudi Arabia created a $1-billion fund to invest in small and medium enterprises, while Bahrain ($100 million) and Oman ($200 million) have also launched funds to support startups. In Lebanon, the central bank pledged to invest $600 million into innovative firms. Will this continue? Most experts believe it will. The region, which grew 1.1 percent in 2017, is forecast to expand further to 3.6 percent in 2019, according to analysis in the ICAEW/Oxford Economics' Economic Insight Middle East Q1 2018. Growth in the Arabian Gulf, the report notes, will accelerate to 2.4 percent in 2018 and 3.5 percent in 2019, compared with 0.1 percent in 2017.